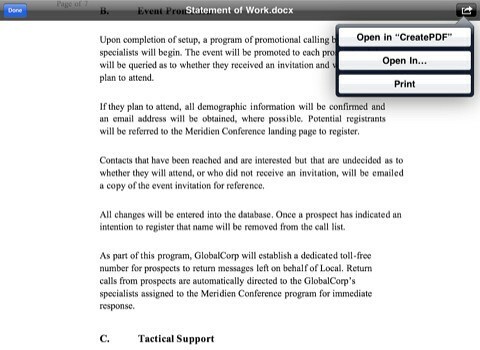 Adobe today released a new iOS app dubbed CreatePDF that does right what the name suggest. Using CreatePDF, one can create PDF documents from scratch, right on their iOS device, down to images, links, formatting, footnotes, drawings and more. Adobe touts “the same high-quality PDF creation as Adobe Acrobat” and you can pretty much create any PDF document you could think of as the app works in tandem with the cloud to ensure quality PDF conversion. Upon installing, CreatePDF registers as a default app to open Microsoft Word, Excel and PowerPoint documents, AdobeIllustrator drawings, Photoshop images and InDesign files, in addition to Open Office and StarOffice documents and JPEG, BMP, PNG, GIF and TIFF images. This lets you send the aforementioned mail attachments or documents from other apps to CreatePDF using the “Open In…” feature of iOS. 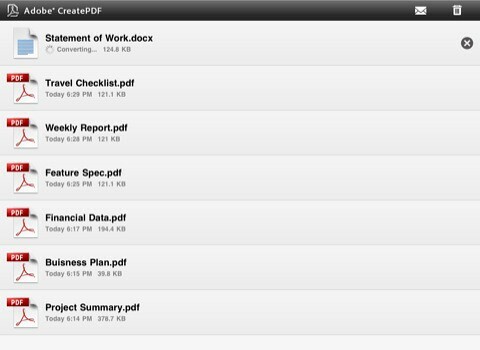 CreatePDF is a universal binary that costs ten bucks over at the App Store.